This was a new experience for me - using tape yarn. I used Stylecraft Mystique Quick and Light in colour "Azul" (2565). It took exactly 2 x 50g balls to make the sun hat. I used a 4mm crochet hook. It was really easy and I made it in a few hours. The tape yarn is good to work with although I would advise against pulling to too tightly - like at the start when tightening the magic ring - it does snap more easily that some yarns. I loved the idea of strengthening the brim with slip stitches! It really worked. I've made hats before but they always flop down in my eyes, this is flexible enough to fold into your bag but firm enough to have a good stand out brim. I added a little slip stitched contrast in white around the crown. 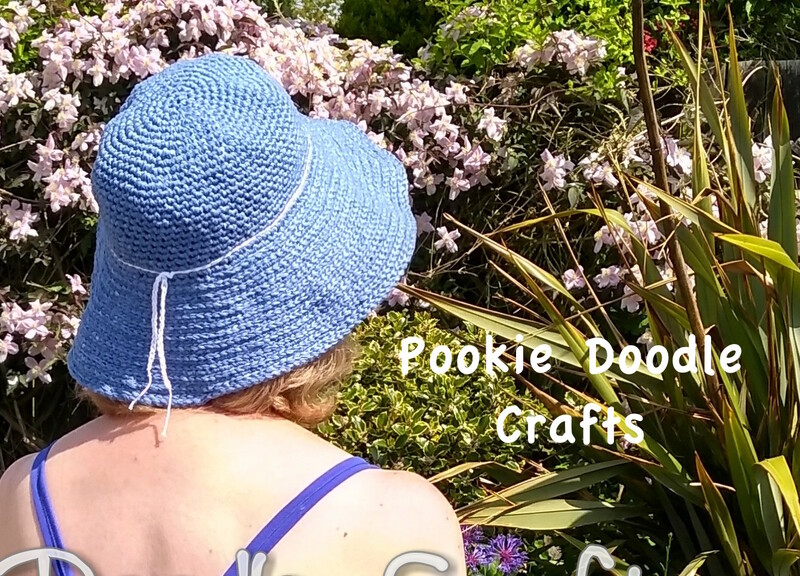 Big thank you to Ashleigh for sharing her pattern for free and for creating such a lovely sun hat that really works! I made this lovely lacy fan shawl for my daughter in law for a cruise she was going on. 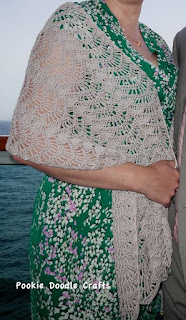 It was an easy pattern and I didn't particularly follow any gauge, I used a very fine cotton thread yarn that I had in my stash and used a 4.00 mm hook. It came out fine on the width and I just kept crocheting until it was the length I wanted. 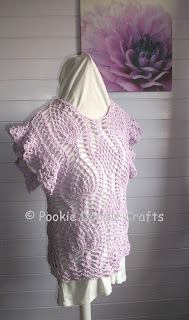 If you did need a wider shawl it would be easy to just add in another pattern repeat. 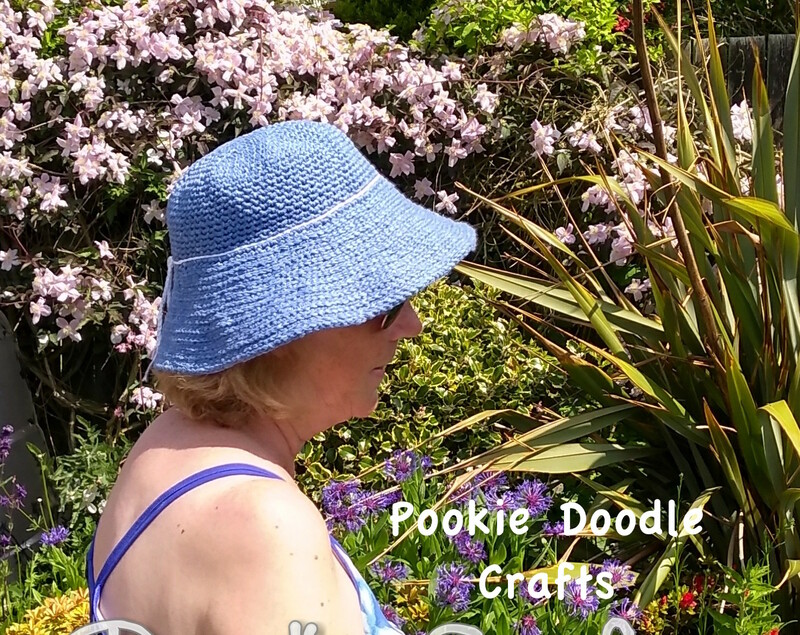 The pattern consists of two rows which you soon remember so you don't need to keep looking at the pattern sheet. It looked beautiful when worn. I also added some beads to the edges just to give a bit of weight. Sharing all the things I make and any interesting patterns or ideas that I find along the way. 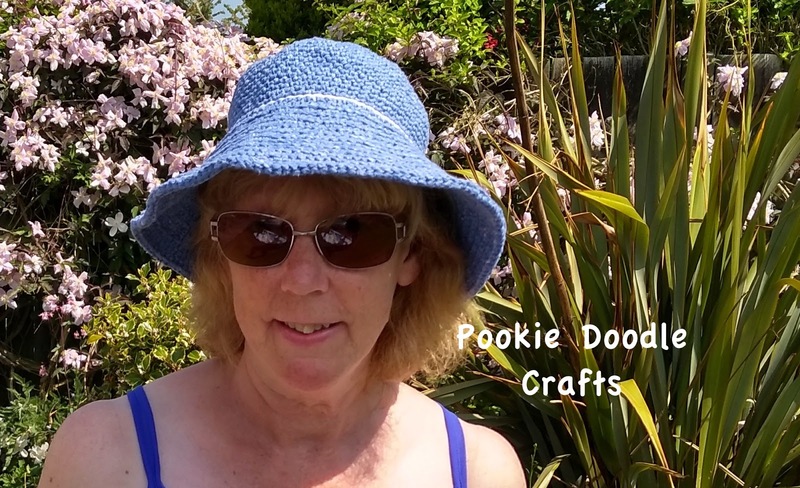 copyright Pookie Doodle Crafts . Picture Window theme. Powered by Blogger.